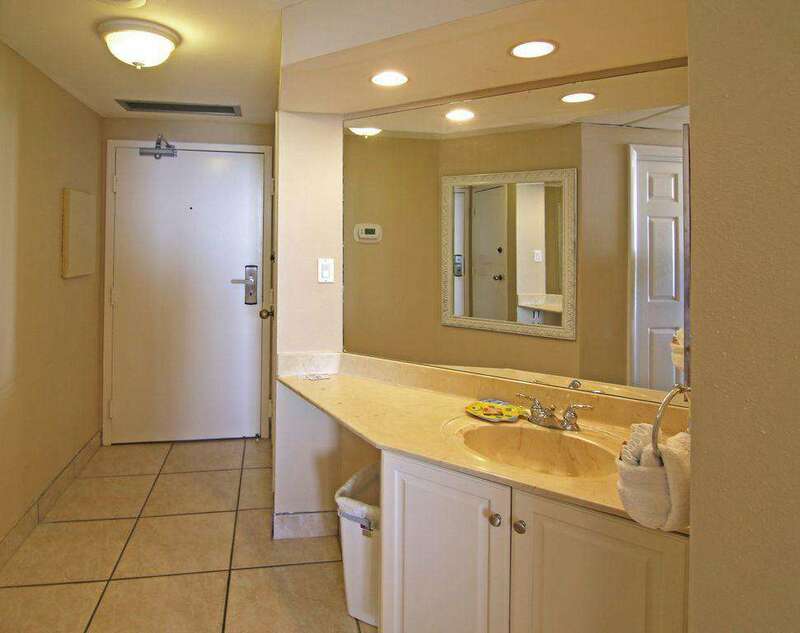 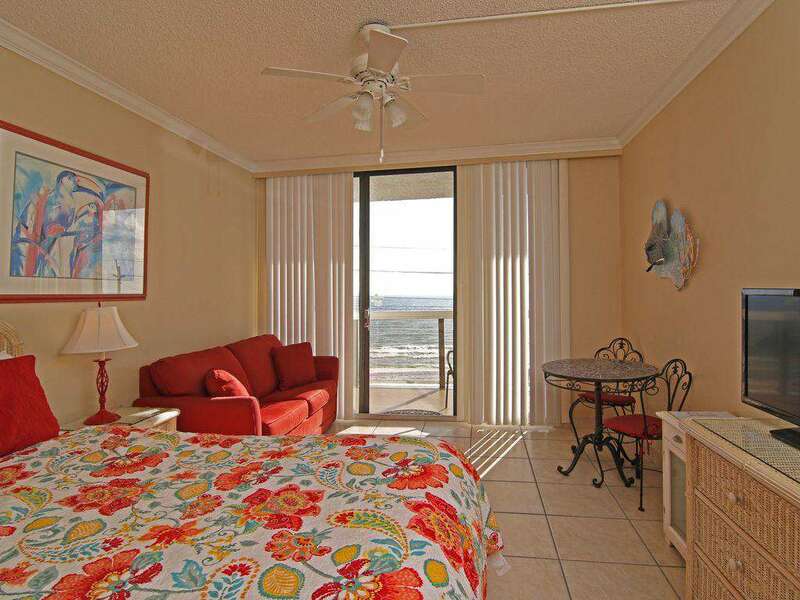 This one bedroom efficiency has a private balcony with a gorgeous ocean view. 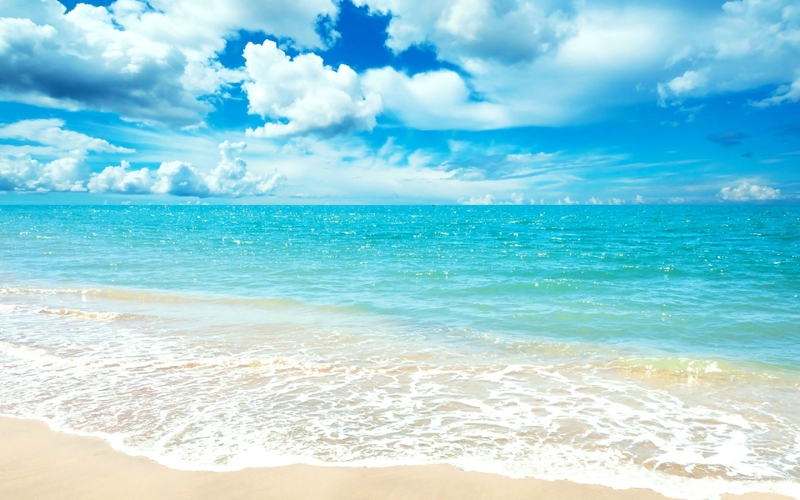 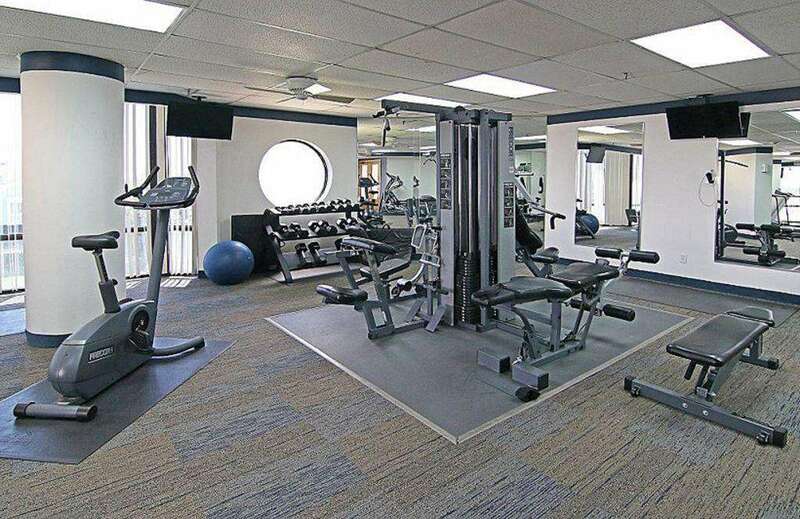 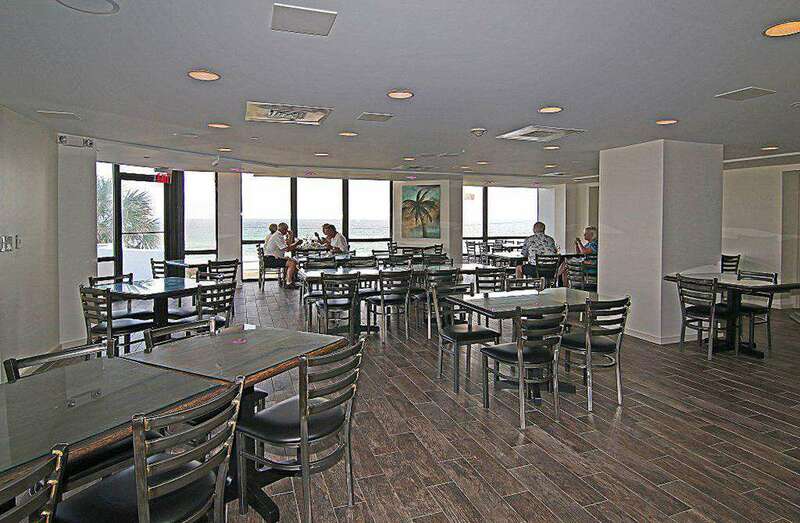 On-site gym Surfside Resort features an on-site restaurant- The Royal Palm Grille! 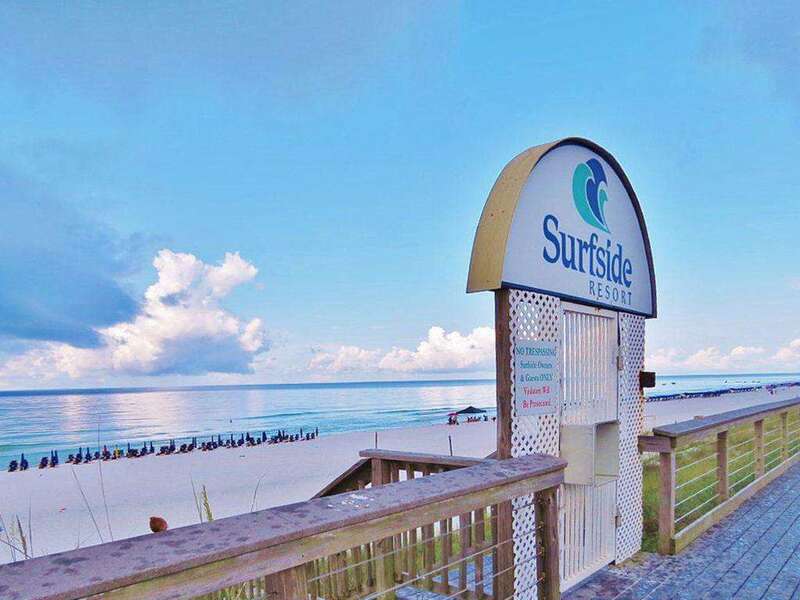 Great food and so convenient after a day at the beach!